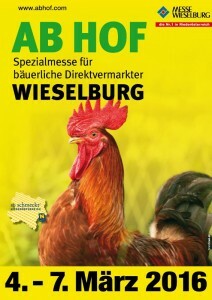 from 4th to 7th March in Wieselburg, Lower Austria! von 4. bis 7. März in Wieselburg, Niederösterreich! An own distillery, set on their family estate in scenic Sandane, Norway. It all began in autumn 2009, when Synnøve and Jann, both Masters of Chemistry, decided to take over the ancestral farm of Synnøve’s family. Born and bread in rural Norway, it felt completely natural for them to move to Sandane after many years in larger cities like Trondheim and Oslo. Needless to say, when you look at the pictures of this beautiful landscape and this sweet little farm, who would not want to move there and live in this fairy tale? We have to admit, we really envy Jann and his wife! They started with the refurbishment of the old house, and began to make plans for future operations and how they should run the farm in the best possible manner based on their background. Previously both fruits and vegetables have been grown on the farm. However, when they took over there was only an old apple orchard of about 450 trees left and the rest of the land was used for grass cultivation. The choice therefore fell on liquor production since it combines fruit and chemistry in a unique way. The trend in Norway in recent years with more and more locally produced food and drinks also helped to push forward and gave the belief that this was something that could be popular among people. But it all did not happen fast. 4 years later, in December 2013 they were granted manufacturing authorization for the production of alcoholic beverages in Norway. In the following months the equipment for the still and the processing of the fruits was purchased. Jann went for our 6″ Dash™ with 6 bubble sections, that come with our popular brass sight glass kits option, and our 150L Pot Belly Boiler made of stainless steel with agitator and direct electrical immersion heating. 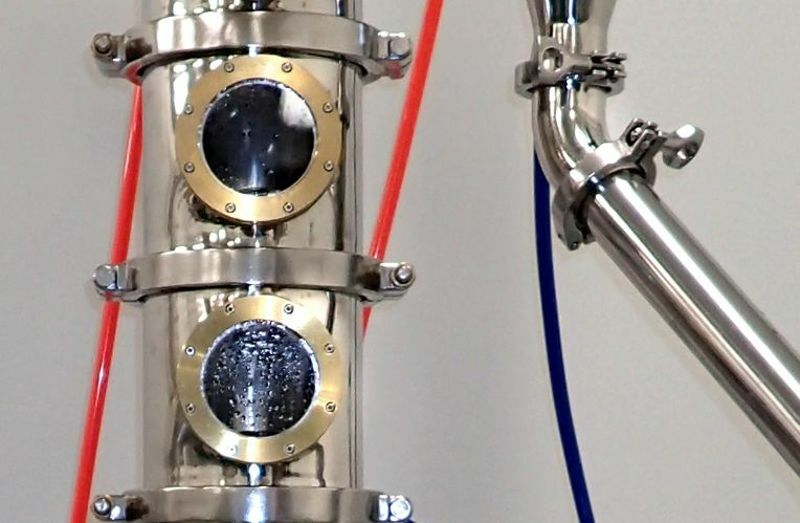 The modular design of the still allows to produce all kinds of spirits, and the best thing is, the still will be able to grow with growing demand. For a start-up distillery, this gives the most versatility without crashing the budget. Jann’s decision was carefully made, frankly we did not have much influence in that part, as he was the kind of customer, who exactly knew what he wanted – and we were glad to help! In fall 2014 our StillDragon® still made its way to Norway and finally in February 2015, the first two products could be sold. Both are based on apples (no surprise, since it’s mainly an apple farm), with one being a strong apple brandy of 40% and the other a liqueur with 21% ABV. 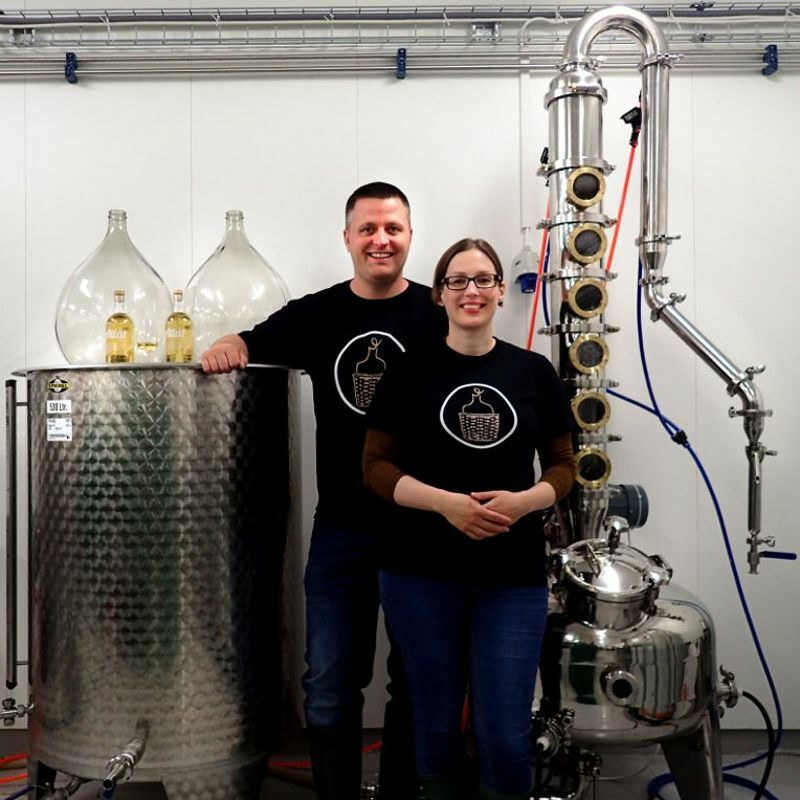 After the launch of the first apple varieties, Jann and Synnøve plan to continue with local variations of Gin, Aquavit, Vodka and so forth. Local spices and fermenting traditions will be put to use in parts of the manufacturing process. The idea is that each of their products should have a specific character from the district and the region they live in. They hope to bring even more exciting flavors and experiences to the local food arena by introducing something completely new and exciting as per today has not existed in the Nordfjord region. Their vision is primarily to produce niche products based on fruit and berries. 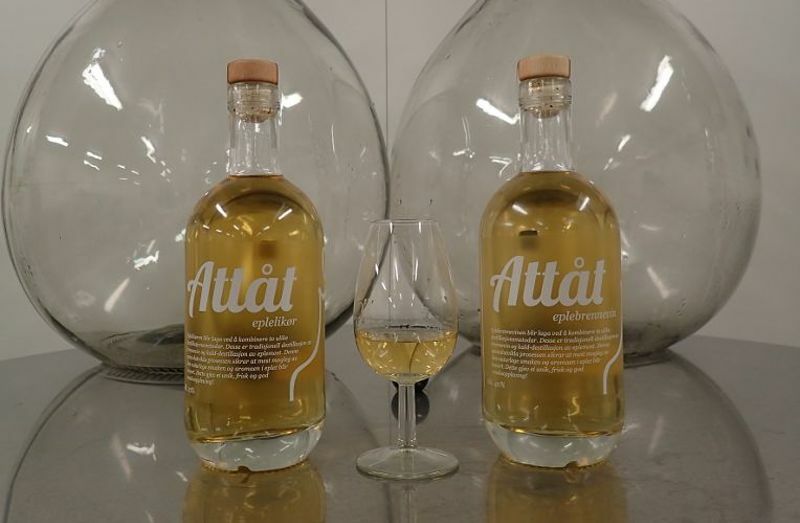 With the range of alcoholic beverages called Attåt, which loosely translates to something that goes along with in Norwegian, they are creating different products with specific criteria. Their apple brandy and apple liqueur, for example, are manufactured in small batches with each batch being made from a specific apple cultivar. Two examples of popular apples in Norway are Aroma and Summerred. Therefore, each batch may have a different taste, color and aroma based on the apple cultivar it originated from. The sugar / acid balance in each batch of apples also plays a big role in how the product evolves, and this will vary from batch to batch. Initially, products will not be stored in wooden barrels but only in steel drums. Storage in wooden barrels like oak, makes the taste change and the barrel-taste becomes a significant part of the product. Jann and Synnøve rather wish to focus on the actual fruit or berry flavor with their first products, since that is what they found is most exciting and directly relevant to reflect how they produce the soft drinks that are also sold from the farm. In the future, storage in wooden barrels and other methods to alter the taste will be developed and will surely be both exciting and challenging in their own ways. For more information on their extraordinary endeavor, please visit the website of Gardsbrenneriet Distillery.